Manny "Pacman" Pacquiao officially signed the fight against Jeff Horn of Australia on July 2, 2017. “We signed the Jeff Horn contract this morning. 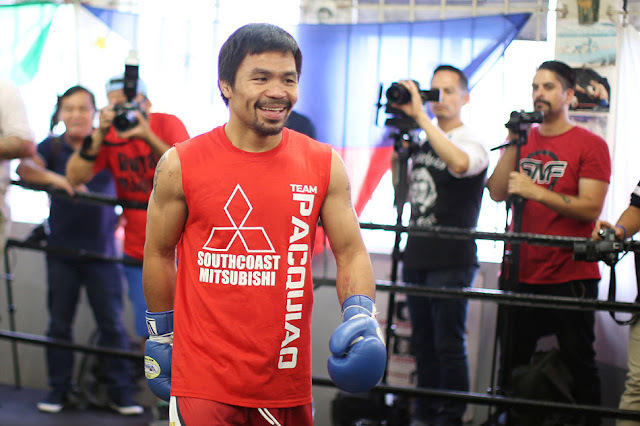 The fight is on July 2 in Brisbane, Australia,” Pacquiao’s adviser Michael Koncz said. It was already announced last month but Pacquiao was also notified the public that he will fight Amir Khan in Dubai. However, it was all done now and Pacquiao is set to face the undefeated Australian Jeff Horn. Bob Arum told boxingscene.com "As far as I'm concerned, everything is done,"
"First, we want to finalize the deal," he said. "Then, we're going to have press conferences in Australia for about a week, then we'll come back to the United States and we'll figure that out." - Pacquiao added. Pacquiao vs Horn will probably be held at Suncorp Stadium, Brisbane, Queensland on July 2nd.